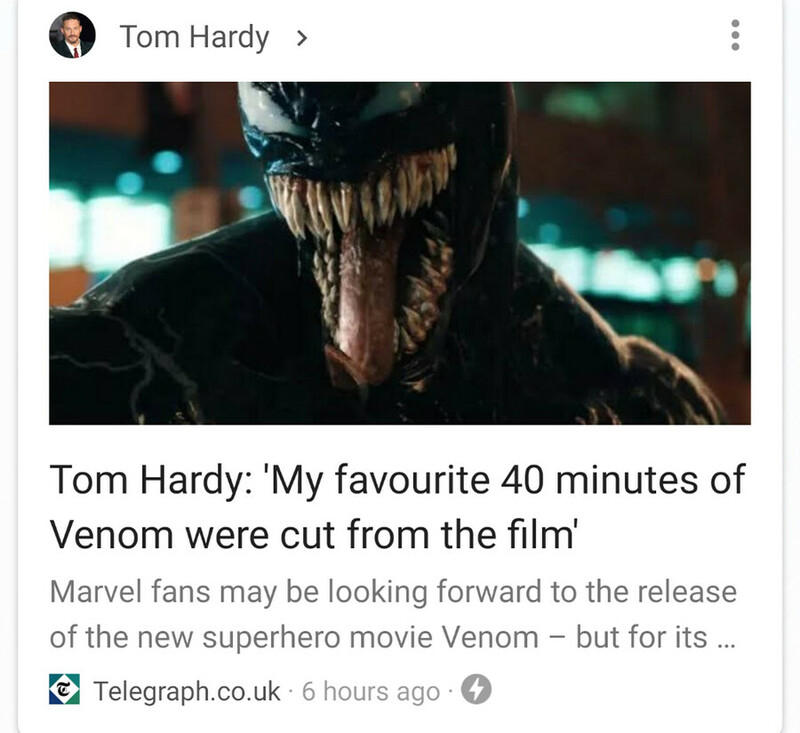 This has just popped up on my newsfeed, turns out that Tom’s best bits were cut from the film. I would assume this is due to making the age rating that the Sony big dogs wanted. I didn’t read too much into it, incase of unintentional spoilers, especially as I don’t even watch film trailers.